No 19th century sword thread would be complete without the 1845 French Infantry Officer Sword. This is one of the most beautiful fighting swords of the mid-19th century. The U.S. modeled their Infantry Officer version after it and I wouldn't be suprised if some Confederate Officers carried this same weapon. It came with a nice metal scabbard. I actually prefer the horn grip without the wire. It looks just a little plainer and handsomer that way. Lovely quill-point tip as well. It has a nice compact balance and handles like a long boarding sword. Dated 1855. 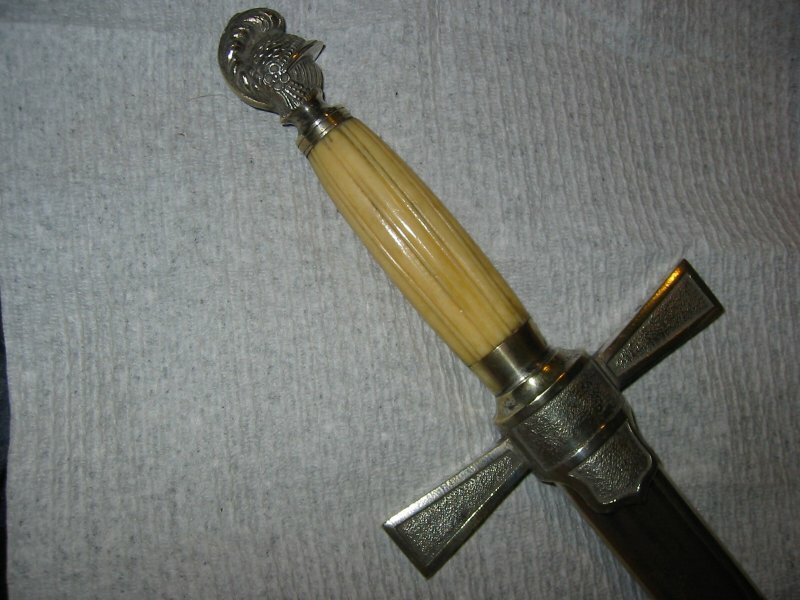 I have one that the Hilt was repurposed to a post Civil War Presentation sword in 1872, looks real nice! Nice Wurttemberg Heavy Cavalry, late 1800s I think? Returning to the thread with another straight one. This one a bit of a mystery to me and I had hoped someone would save it from me. Thirty-four inches of blade, 1 1/4" wide at the hilt. I am having a hard time categorizing it in my mind. Lighter than the heavy cavalry types and less than two pounds (1lb 10ozs). 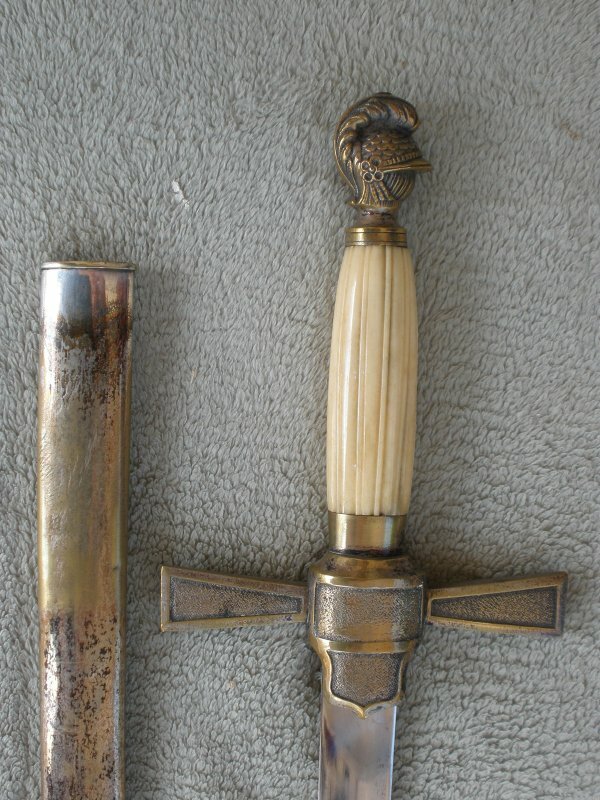 The hilt appears to be a Bavarian 1826 type but those are usually curved blades and listed as cavalry. 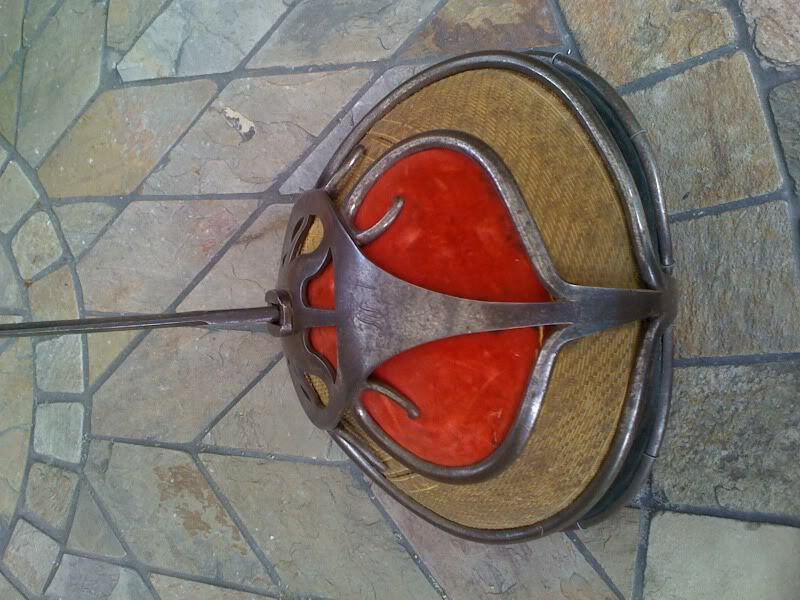 One similar is a bit smaller yet and with a Spanish blade. Marked to Horstmann, I can't exactly date it either. 1830s, I would think but maybe as late as the 1840s. 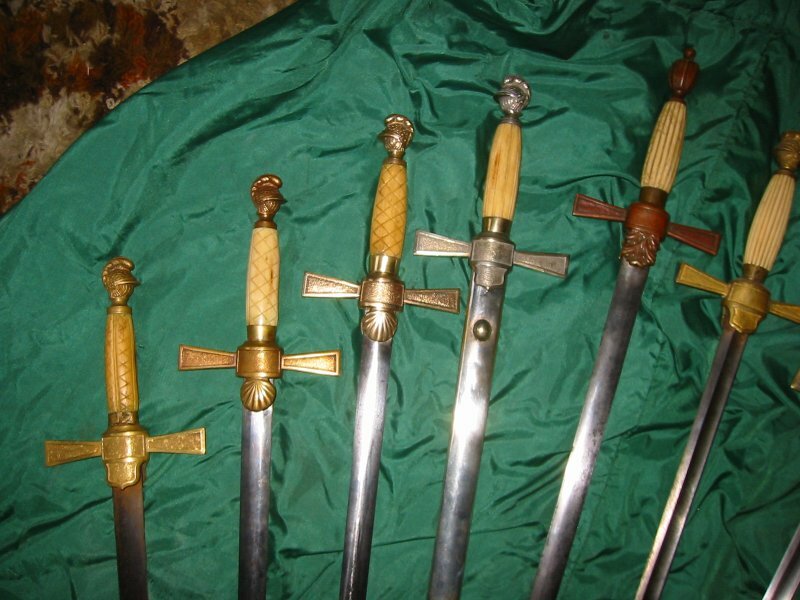 I have never seen another from Horstmann and I watch a lot of Horstmann marked swords. I have untangled what is left of the wire and that may have been an old repair to start with. I need to tighten up a couple of wraps. Pecards antique leather dressing. Some have disagreed with the stuff but I have been having good luck over a few years now.. The leather blade washer is likely a refit as well and is off for now (soaking up more Pecards). Shown above with a mounted artillery sabre that is just an inch shorter. The blade is much like a spadroon, with a broad single fuller. Not nearly as stiff as the 1854 dragon blade either. it may well just be a very large infantry type. I like it. Sharp on the back to the fuller. I believe this sword is what you would call a Paradschläger instead of a true Mensurschläger because it's blunted. It shows damage from fighting, so maybe it was used as a trainer more than just for display. 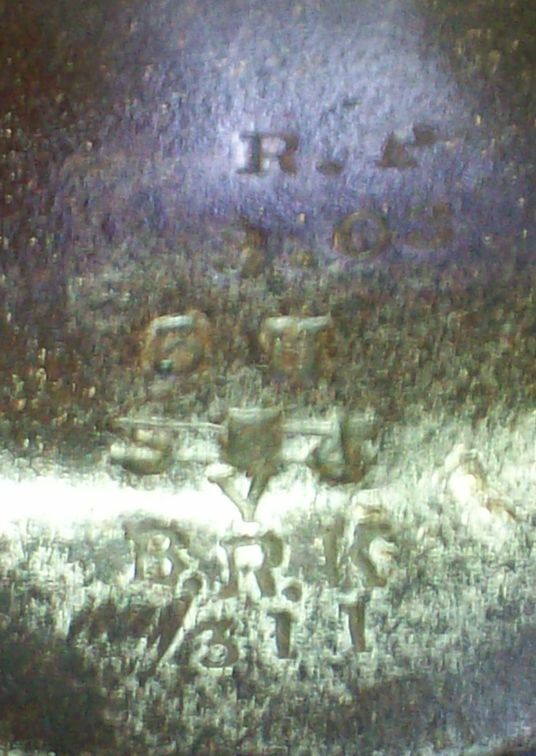 It has engravings along the basket with the Fratsign (Zirkel), a few names, and the dates 1887/88. My friend is currently doing some research on what Fraternity it's from (there is only one in Fribourg that still practices Mensur). Returning with a growing family of these Ames style militia swords. ONe with a scabbard and silver plated. Two on the right have spadroon blades. The longer of those spadroon type is by Horstmann, as is the urn pommel one with the foliate langet. A good way to spot the Horstmann and other earlier examples is the way the grips are carved. By the late 1860s, it can be tough to distinguish between the two major sources but there are still some traits that separate them. The shorter musician length spadroon blade is by Ames. The two showing the shell guards on the left are different from each other in that one is ivory and the other bone. The silver plated edition was re-plated by myself with Silver Secret, a liquid that carries silver in solution and is deposited through low galvanic reaction. It takes some effort but was a joy on this one as it was fairly well intact to begin with. 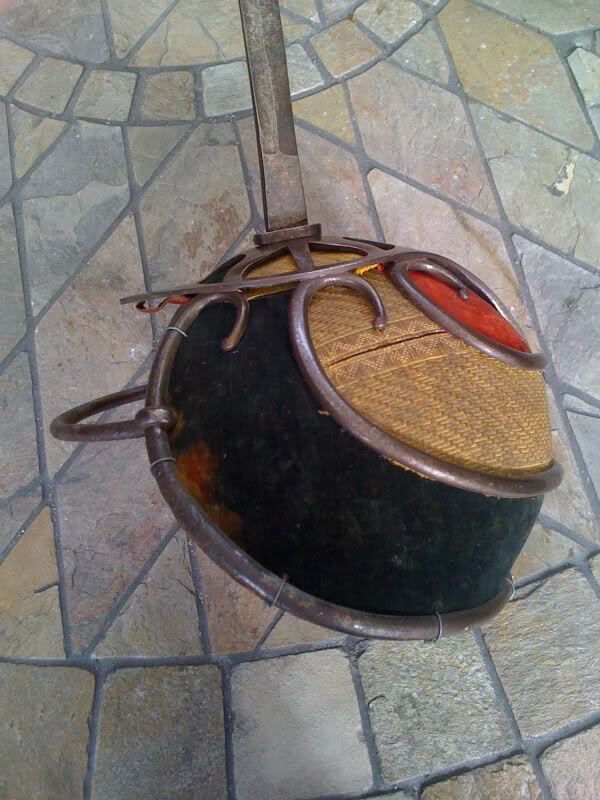 These are an inexpensive way to collect antiques when found at a bargain. They are becoming fewer and farther apart at low budget but there are still more surfacing. Here's a British P1890. This one dates to '99, so just makes it into the century. Perhaps the 3 H belongs to the crossed-out stamping. B.R.K is, AFAIK, the Royal Berkshire Regiment, so British use. Found this in Adelaide, South Australia in 1997. One of my first antique swords (my 1st or 2nd). 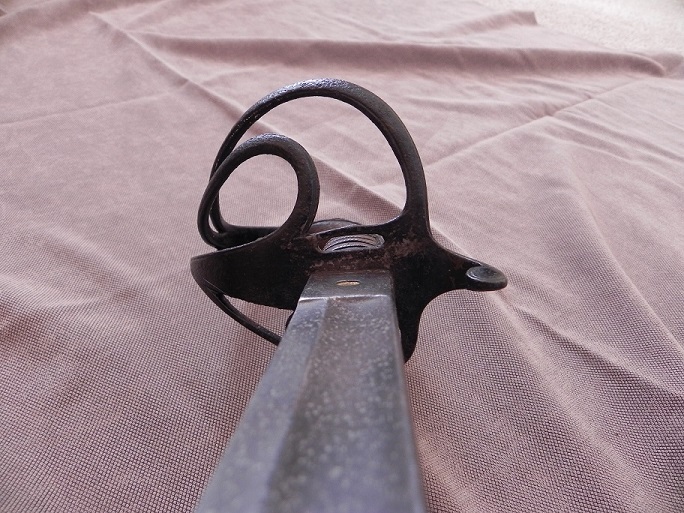 This is my favorite sword, M-lle 1822 French light cavalry sabre manufactured in 1878. It is quite heavy, but very well balanced and feels nice in hand. 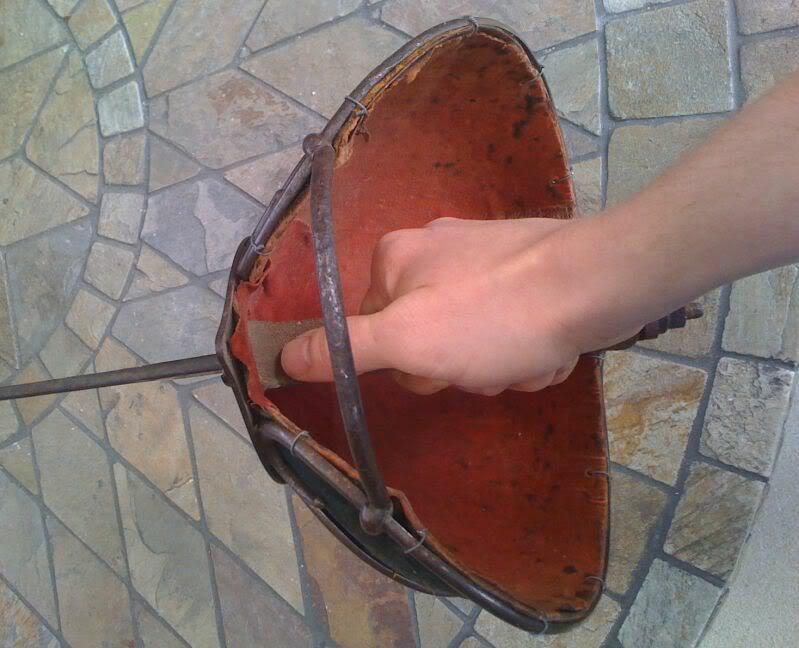 I think it was the first cavalry weapon that was equally good for both cut and trust attacks. 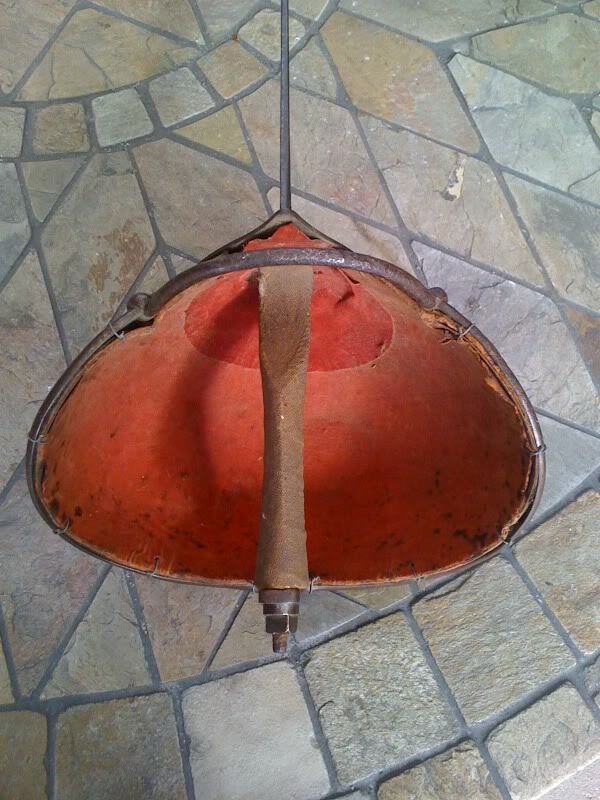 These are still in use by French cavalry, as far as I understand. 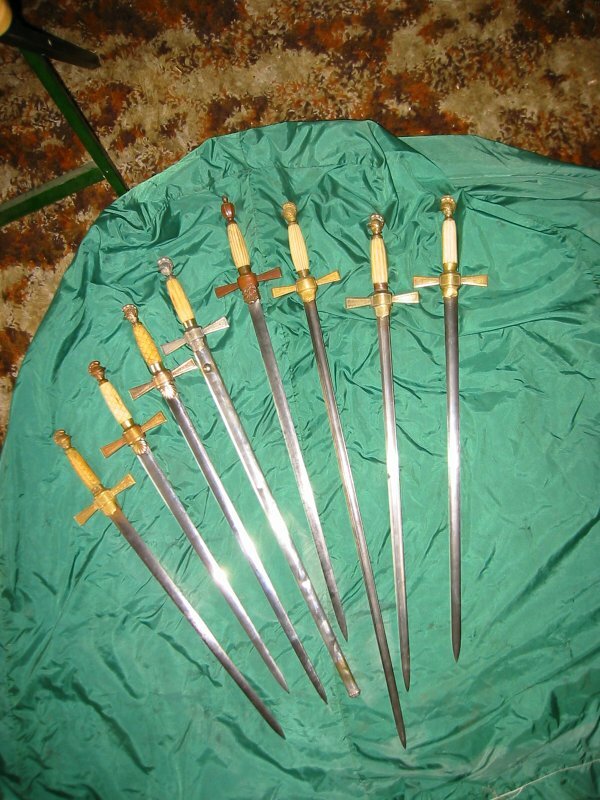 Thanks Timo and Konstantin for sharing these very purposeful cavalry swords. RE: the mle822, there are some online files that cover the evolution of the model. One complaint by troopers was that the blades tended to bend backwards when thrusting against heavy winter coats. It is true that the mle1822 is still in use by a mounted guard unit but really just as accompaniment to their uniform and fo parade, etc. There were still French lancers into WWI as well. WWII was realy the last interlude where swords were fielded on any grand scale but still evident enough that some of the old patterns still found a purpose a hundred years after they were first developed. Thank you for posting your sword! Do you have any photos of the markings? The Royal Berkshire Regiment would not have used cavalry swords, so I think we'll have to find another match! The 3H could possibly be for the 3rd (The King's Own) Hussars. Here is the best I can do with my fully-automatic non-manual focus, too-slow camera. It could also have been used in an Australian unit. The P1890 was used into the new century. With federation (i.e., the formation of independent Australia as a country from the separate colonies), the old colonial units were converted to Australian units. Then there was a second re-organisation, as 1902-03, we got rid of cavalry units. This was a lesson of the Boer War, that cavalry were too vulnerable on the battlefield. The official recommendation was that all mounted units should be Light Horse (to do everything that cavalry did, scouting etc., except fight mounted), and Mounted Infantry (I don't think we ever actually had any of these). So the 3.03, if a date, could be a conversion of the unit. OK so from top to bottom we have the following! Top three are French 1845 pat Infantry Officer Sabres. The bottom of the three would have been for an officer quite high up. The quality is much nicer and the sword is very light. In a fight however I would have chosen the more robust versions. 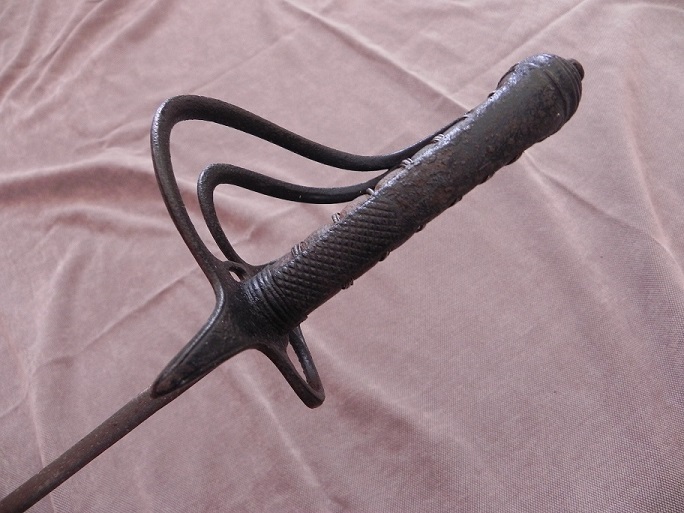 French 1822 light cav sabre. This sword is really long and fairly light for the length. I wouldn't want to fence with it but must have given excellent reach upon a horse. 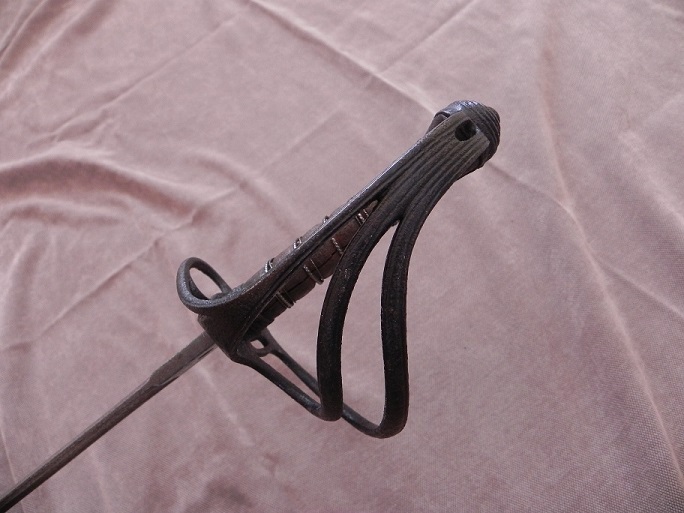 British 1899 cavalry sabre. This is the short version and was not in service for long as there were complaints that the target would tend to lie flat on the floor to avoid sword blows. This sword was sent to the officer training corps in Cambridge. 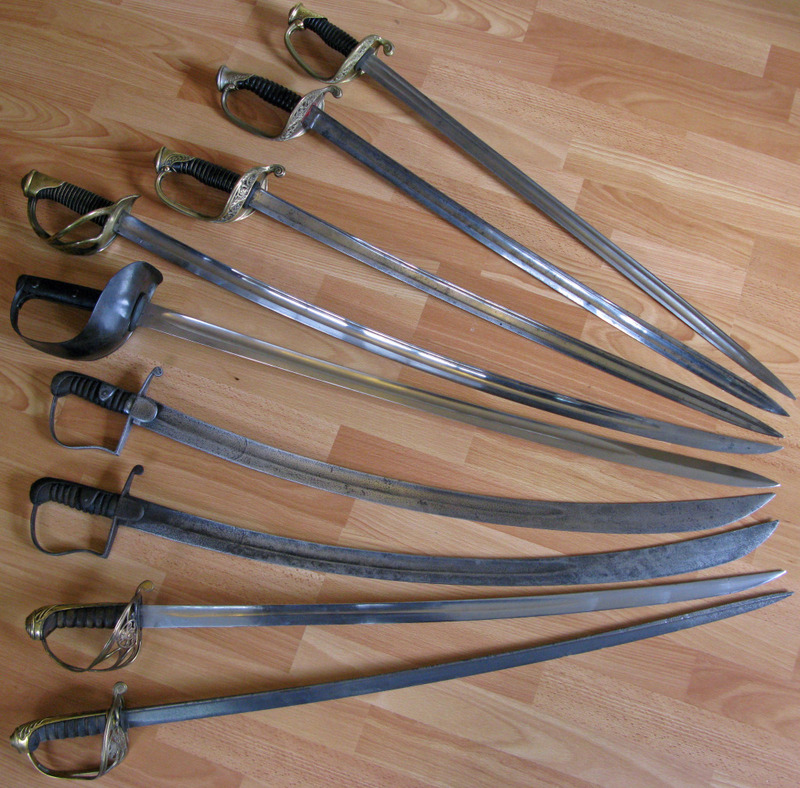 The sword is nice and sturdy but I would have prefered the 1796 swords in a fight. Two 1796 sabres. Really nice slashing swords. A little heavier than others I have handled at auctions. I suspect those I have found at auctions have been subject to harsh polishing techniques and have lost some mass. The tips look a bit more pointy than usual and I am wondering if they were involved in the battle of waterloo where troopers had the tips ground to be pointer. 1854 pat sword I think... This is a odd one as the sword is correctly made with an iron sleeve near the hilt but the blade is a non wilko and the hilt is pretty crude. I think this could have been made in India for an Officer who lost or broke his British made sword and needed a sword fast. 1822 pat sword. This light is really light and fast in the hand, however it would not be something I would stake my life on. I am surprised that it managed to stay in service for so long considering its fragility. That is a nice bevy of sabrage there William. I like the 1796 swords and maybe I should break my vows next year. The French infantry swords look mean, in a good way. Rounding out this year have been both a straight and a curved sword. The straight job another shade larger than the 1826 posted above. Could this be the beginning of the French 1882? Long enough that it may have been meant for cavalry with a 33" blade but there is an old thread where Jean Binck is mentioning a lighter infantry pattern that was becoming popular with some officers. This one definitely second empire. A snippet from Jean's thoughts from a decade or so ago. "It is said that the M1882 was developed on the basis of a non regulation sword with a steel hilt with side bars worn by the French African troops called "modèle lèger" (light pattern) and which became fashionable on the end of the second Empire. But there are no obvious evidence for this." It had been covered with a layer of varnish or something but quite pristine once released from that. The blade is plain without any decoration. The steel possibly what the company was listing as "new and improved". So, with those two in, I recently let a couple of swords go. After seeing this thread get a bump I recalled a mention of the Australian Light Horse using the P1908 at the close of the Great War. Attached below is the mention, along with a few other accounts of its use in battle. 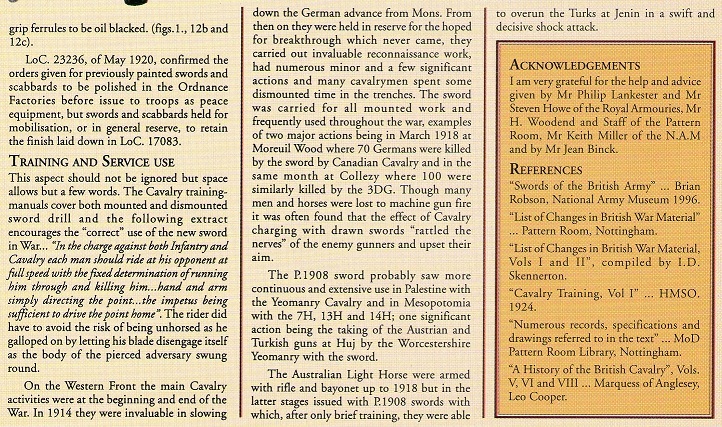 This is a snippet from "The 1908 British Cavalry Troopers Sword Part Two: The Production Model" by John Morgan and published in Classic Arms & Militaria May/June 2000. A little early for Christmas but it will do. 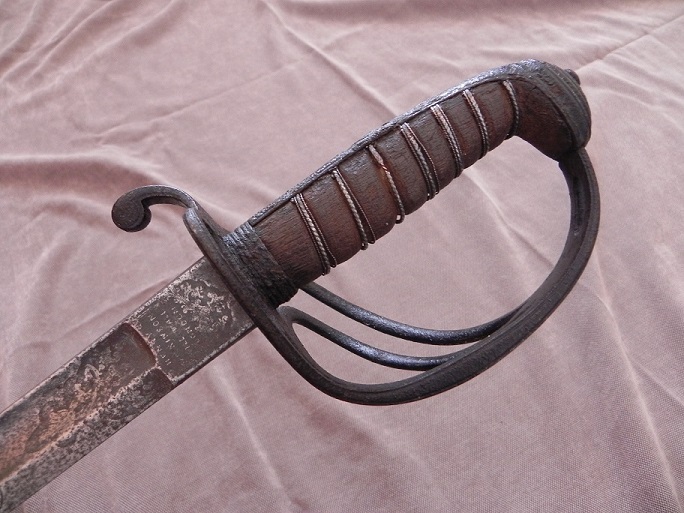 This is an 181 pattern infantry/artillery sword generally listed as the 1818 nco. Starr and Rose had earlier patters with a bit of a counterguard. This is a type that had been on a long list for some years and when a relative bargain showed up, I had to pull the trigger before it found another home. I have to thank Dale Martin for mentioning the dealer because I have seen some other terrific values pass through, I had almost bought an 1816 glaive but missed it by not being intent about it. accolades aside now, we look at one of these funny looking little swords. Twenty-six inches of blade, the width makes it seem shorter. This is a broad blade for its length. The unstopped fuller goes out about 19" and the blade grind does not exhibit a back edge towards the point but the fairly linear distal taper thins out more quickly after the fuller and the cross section at the point down to 1mm. Just shy of 1 1/4" wide at the guard. With the scabbard and frog, the whole of it weighs just over two pounds, with the sword itself about 1lb 6oz. There is a bend and rease in the scabbard, many blade nicks and no blade washer but the frog with it seems quite old and seems to have always been there. I have no idea whether it was a pattern specific to the sword but has kind of petrified on the scabbard after the many decades. The grip leather is quite complete and preserved. Someone had collection tangs on both the sword and scabbard, so seemingly from a previous serious collector. Thre is nothing for me to try to undo or add to this one except to enjoy a very light and handy feeling sidearm. Not unique to Starr swords but worth mentioning if not familiar is that the tangs are threaded with a cutlery nut, not unlike what we see on a lot of 20th century Solingen type hunting knives. My antique Canon doesn't do terrific macro as snapshots but if I spent the time with manual settings and a tripod, even at 3 megapixels would be better than a quickie. Abstracting from what I read of the very old Starr notes are that there were 4,000 of these ordered but after just one sent in 1818, 2,000 were delivered in 1819 and those all marked to Luther Sage. Then in 1820, the final 1,000 were delivered. Some of those marked JN fo John Newbury and some marked Elisha Tobey. From the Hicks book, (1940 Nathan Starr), I see Tobey only marking those 1820 swords and nothing else. I have though seen Starr 1818 pattern cavalry swords marked by Tobey, so there is probably more to his history than just the Hicks volume. There is no date imprint, so all we have to go on are the Hicks notes. 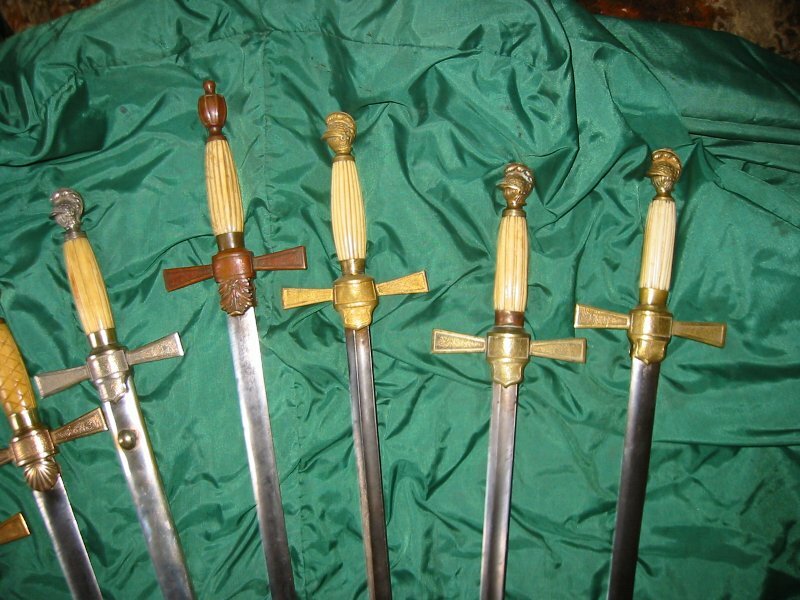 There are some other neat and less common Starr swords that coould be a niche of collecting all by themselves. At some point in time I will be looking for one of the older 1812 pattern cavalry pieces but certainly some of the other infantry and cutlass patterns would put a smile on my face. The 1818 "nco" as these get listed, is one I have watched for a long time. When I saw this topic first thing I did was look for posts by yourself or Dave Kelly!! This is another pattern I had watched a great deal and after some years now scratched an itch in seeing one with a scabbard and more or less fine condition. A couple of small grip cracks, original warped blade and a bit of oxidation here and there probably set the economy price. I should not screw around when cropping pictures and adding brightness but here are a handful of photos showing most details. Never sharpened and fitting the scabbard quite completely kind of points to another sleeper that probably started life in a store room or armory. Most of the blade washer has dried out with loss but still there. A few spots of blade oxidation but otherwise bright. This is a short blade, at just 26" but does not look like it was ever shortened any. The simple stirrup guard and faceted urn type pommel are very much a left over trait of the late 18th century. There is really no way I can date this one exactly but either side of 1800 is likely. 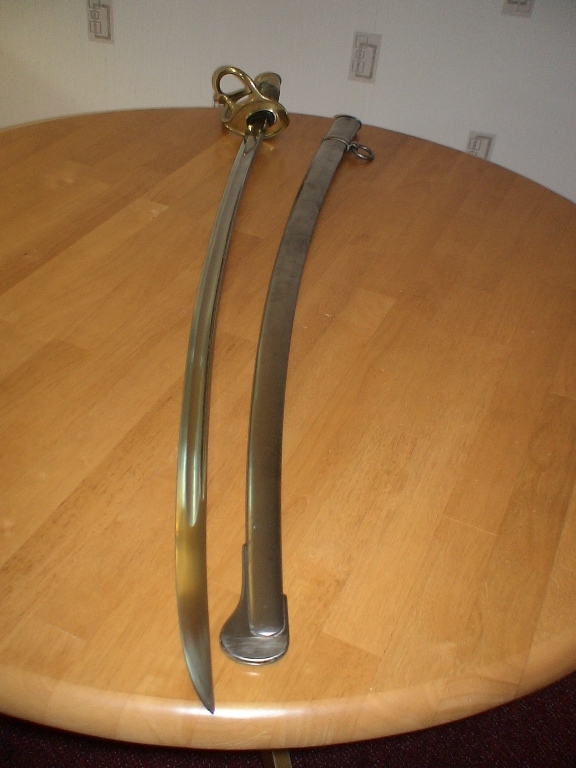 I tend to pair up types of federal period swords and doing so by finding a likely counterpart in straight and curved. This petite hanger with horn and urn pommel will now pair nicely with a straight blade example of this hilt type. I have been enjoying the straight example a great deal for some years and now there is a true cousin to partner with. I had hoped someone would save this one from me but with a last (I hope) Huzzzah! for 2012 felt the need to adopt it. 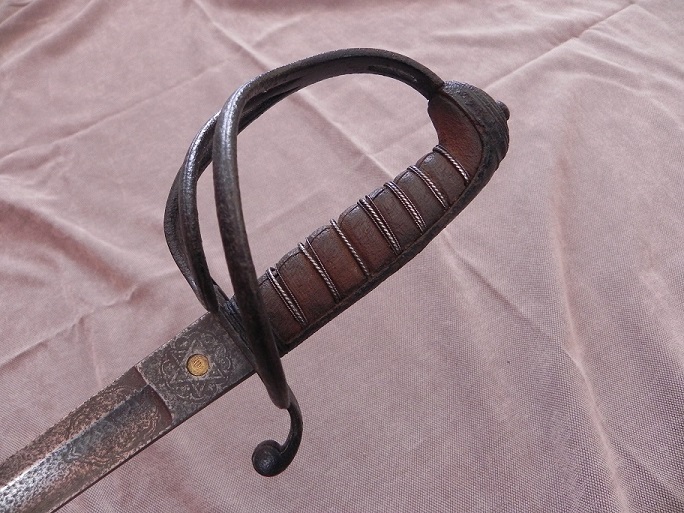 French 1822 Legere, light cavalry sabre. These pictures are in "as received" condition, and it's been cleaned up but not rephotographed yet. It is in a condition that would get the sergeant major on my case, but still be perfectly functional in the field. At a full yard, the blade is a half-foot longer than what I'm mostly used to, but when they were designing the 1822, I think they got it right. Somehow I missed this when you posted it over the summer. Congratulations on your very fine saber! Have you decided to pursue antiques, too? It has been three years since my last sword! Last weekend I attended the "Show of Shows" military show in Louisville, KY. It is a huge show with nearly 2000 tables. The two big shows I had attended previously, the Hartford Antique Arms Show and the Baltimore Antique Arms Show both (I believe) have an 1898 cutoff date for firearms, which tends to attract more antique arms dealers. The Show of Shows had a lot more 20th century items, especially WWII firearms, bayonets, uniforms, and equipment. Compared to the other two shows mentioned above, swords were relatively scarce (unless you wanted German or Japanese swords). My main interest is British swords of the 19th century, and there were a few to be found on the show floor. To me they were very pricey for what they were, and as might be expected a number were misidentified and there was one replica being sold as antique (due to ignorance, not an intent to deceive). I was beginning to lose hope in finding anything, but then I stumbled across a table with four swords and loads of other small militaria. 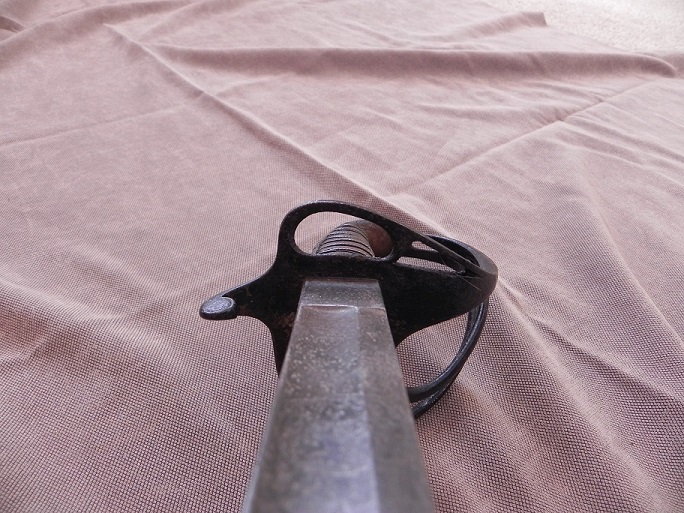 One of the swords was a British Pattern 1821 Light Cavalry Officer's Sword in very sad condition. I asked to see it, and then gave it a close inspection. I am glad I did not dismiss it based on its condition! The first thing I noticed was the sharp blade, then I spotted the rampant lion on the East India Company (EIC), officer's initials, and an etched cartouche with Urdu (?) script! I was able to buy it at a low price and my heart was beating quickly as I walked away from the table with my new acquisition. I was thrilled to finally have a new sword and excited about the research potential. I am still researching the owner, as it has taken some time to narrow down possibilities, but I knew going into it that it probably belonged to a veteran of the Indian Mutiny (Rebellion, Uprising, India’s First War of Independence, etc.). For now I will just present the sword itself. The sword is a Pattern 1821 Light cavalry Officer’s Sword made by Henry Wilkinson. Before 1854 Wilkinson did not put serial numbers on the officers’ swords, so this sword is pre-1854 because it lacks a serial number on the spine. It does not have a scabbard. The dark, pitted, but still sharp blade is etched on the ricasso with “Henry Wilkinson Pall Mall London on one side (inside flat), and two interlocking triangles with a brass proof disc on the other (outside flat). Just above the ricasso on the ouside flat of the blade is a small etched cartouche with Urdu (?) script which, based on other EIC swords of the period, should translate to “Henry Wilkinson Pall Mall London”. Also on the outside flat of the blade is etched the standard scrolling foliage and the EIC lion. On the inside flat of the blade is more scrolling foliage with a VR cypher, and just below that is a small etched cartouche with the owner’s initials “FCG”. The blade had traces of silver paint which I removed. 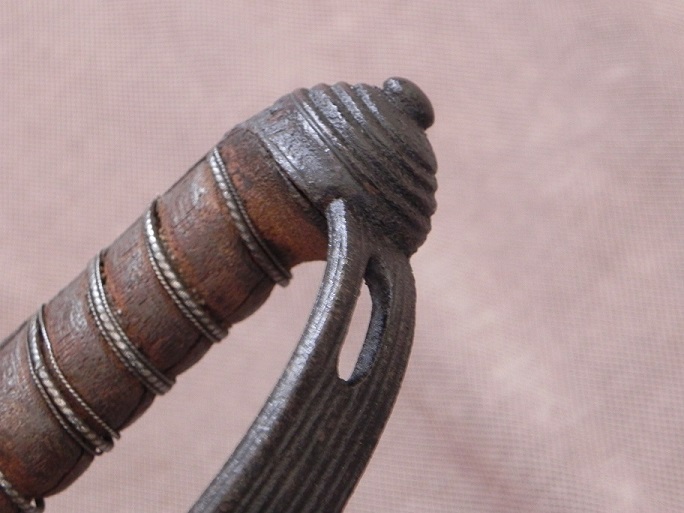 The hilt is of standard form for the pattern, and it was painted black at some point, presumably to stabilize rust which covered much of the backstrap. 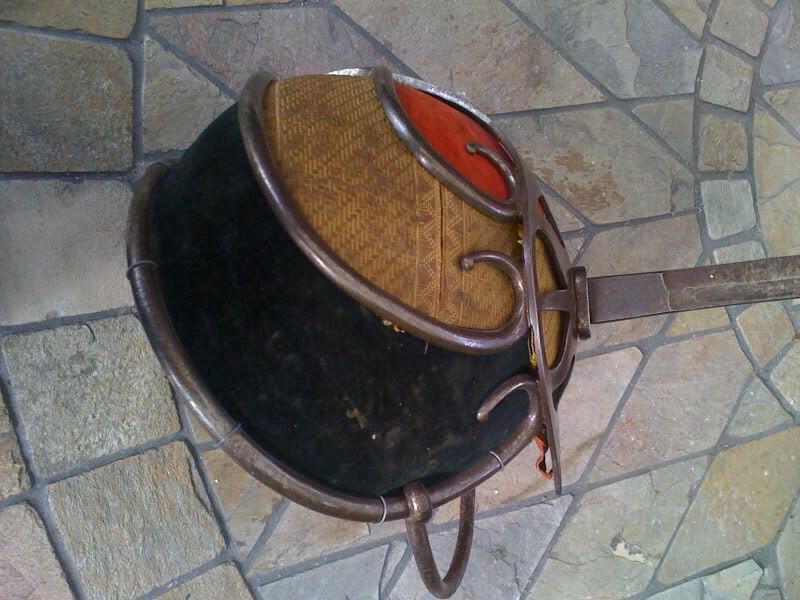 It has a very prominent stepped pommel, which is typical of earlier P1821s, although by the early 1850s domed chequered pommels were also in use for cavalry swords. The grip is missing its fish skin and there is some loss to the silver wire wrap. I decided to leave the back paint on the hilt because it would be difficult to remove and it has mostly contained the rust. I will report back when I have done more research on the original owner of the sword.